The holidays are a festive time to celebrate with family and friends, and The Maine Pie Co. has the perfect gluten-free treats for everyone on your list — including you. 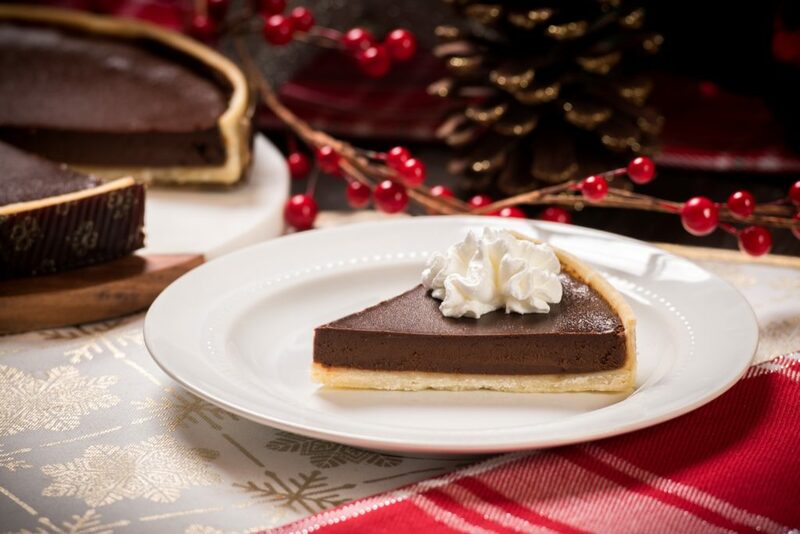 Here’s how our gluten-free pies and tarts can make your holidays more delicious! The December holidays tend to mean nonstop parties, get togethers, and open houses with family, friends, and colleagues. With such a full social calendar ahead, you’ll be short on time for baking or whipping up delicious treats. Fortunately, our gluten-free pies and tarts make the perfect hostess gifts. Bake one of our deliciously rich Dark Chocolate Tarts before your next engagement and you’ll be the life of the party. Or gift ready-to-bake Maine Pie Co. desserts that can be baked when the special time arises. The great thing about our gluten-free treats is that one size fits all. When you gift The Maine Pie Co. to your loved ones for the holidays, you can be assured that they will be well received. Both gluten-free and non-gluten-free eaters alike love The Maine Pie Co.’s desserts. Family and friends will enjoy our Sour Cherry Tart, the newest addition to The Maine Pie Co. lineup. Our signature crust filled with plump sour cherries and topped with a sweet brown sugar crumble is the perfect way to show the Christmas spirit. Even if you’re keeping gift-giving to a minimum this year, you’ll want to add a few sweet treats to your holiday table. Our pecan pie is the perfect way to end a holiday meal. This seasonal pie filled with pecans boasts the ideal balance of Southern tradition and New England flavor. No matter which pie or tart piques your interest, our store locator will point you to the nearest supermarket or natural food store that carries The Maine Pie Co. Our pies can be found at select Harris Teeter and Kroger stores throughout the U.S. In the Northeast, Whole Foods Markets, Hannaford, and many other natural food stores carry our gluten-free products. To get The Maine Pie Co. delivered right to your front door, you can order online from Gluten-Free Mall.